Gorgeous Burnt Bronzite Genuine pushes the honey tone of Bronzite Genuine to a more coppery hue. 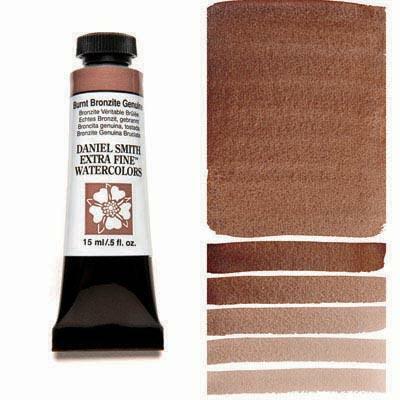 Both deeper brown and more orange, it’s ideal for portrait work as it easily produces a wide range of flesh tones. Like Bronzite Genuine, it gets a subtle lustrous sparkle from iron oxide.